My PlayStation 4 sits in the corner of the room, unplugged. Meanwhile, the remote for my satellite TV receiver has vanished into the couch cushions as a thick layer of dust forms on my collection of DVDs. Despite this, I’m always ready for a night of movies and video games, all thanks to Google Chromecast. 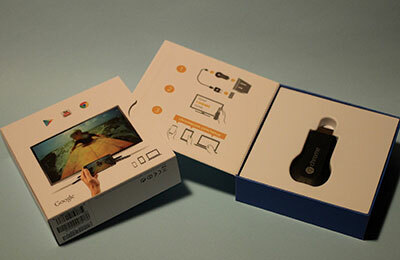 Chromecast is a $39 device that allows media and apps from compatible Android and iOS devices to be displayed on the larger screen of an HDTV for much more comfortable viewing. Tech columnist Logan Krupa says Chromecast is a great technological investment. Setup of Chromecast is simple. All it requires is plugging into the small device into an open HDMI port on your TV and power it using either the included USB cable or an AC adaptor. The rest of the experience is controlled entirely by your smartphone. After downloading the Chromecast app, and connecting to your home Wi-Fi, you’ll be prompted through the quick software setup. Currently, there are a small number of apps that have Chromecast functionality built-in, such as Netflix and Songza. Google’s suite of apps is also compatible, of course. Tapping the Chromecast icon that appears in an app instantly brings the associated content up on your TV screen. The number of apps might be limited, but the selection available on both major platforms is slowly starting to grow. The Chromecast experience is best if you have a recent Android smartphone or tablet. For instance, using Chromecast with an iOS device requires the use of Google-branded apps or sketchy third-party alternatives to stream movies and photo galleries. Android is a Google-made operating system and such functionality is more seamless with an Android device. One of my favourite features of Chromecast is “mirroring” the screens of Android tablets and smartphones. Only a select number of Android devices have such functionality, which allows anything your phone or tablet can display to appear on your TV. I find gaming and browsing the web using my Nexus 4 smartphone on my 55-inch TV to be quite fun! There is a slight amount of control lag relative to what appears on screen, but that does not impact the experience too much. Even with a limited number of apps, Chromecast is a great value simply because of the offers Google sends to Chromecast users. Last month, I received a $20 credit to the Google Play Store. Google is also offering users who activate Chromecast before Sept. 30 a three-month trial of Google Play Music’s unlimited service, valued at $30. I feel that Chromecast is a highly worthwhile purchase for any owner of an Android or iOS device. While Chromecast does have some limitations, it is a great way to free your smartphone from its tiny screen for only $39.